(CNS): Two teenage boys pleaded guilty to two accounts of attempted robbery and possession of an imitation firearm on Friday and were remanded in custody until their sentence hearing next month. Jonathan Welcome (17) and Jordon Powell (18) admitted attempting to rob the Blackbeard’s store in Grand Harbour, as well as Charles Ebanks, one of the men who helped apprehend the teens on 2 May this year after their foiled liquor store heist. The teenagers also pleaded guilty to having an imitation single barrel shotgun and possession of pepper spray. Powell also admitted his guilt in assaulting Charles Ebanks when he sprayed the pepper at him during a struggle outside the shop. 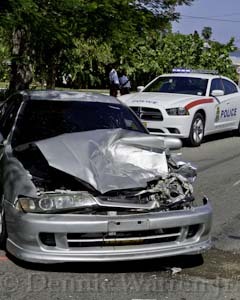 The two boys pleaded not guilty to the attempted murder however, which had been laid against them but one which the crown stated in Grand Court last week that it would not be pursuing given the report filed by a ballistics expert in the case. 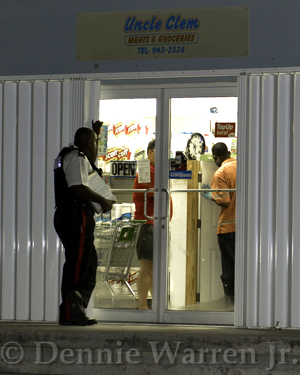 The teenagers had failed to rob Blackbeard’s liquor store when staff refused to give them money and the two would-be robbers were then confronted by members of the public outside the store. It was originally claimed by the prosecution that one of the boys had attempted to fire the shotgun, which was reportedly loaded, during the struggle. However, the gun did not go off and by all indications to the court the weapon was not capable of firing. The incident had generated considerable publicity after the men outside the store had struggled with the young would-be robbers and disarmed them. The boys had then used pepper spray and then made their escape. Charles Ebanks, Edward Azan and Ray MacGuire chased down the teenagers and caught up with them not far from the store and held them until police arrived at the scene. They were lauded after the event as local heroes. Following the teens’ guilty pleas the judge ordered a social enquiry report and adjourned the case until 30 September for sentencing. (CNS): According to the Jamaican government's informaiton service the newly opened and rebranded Ian Fleming International Airport in St. Mary could become a hub for private jets in the region. Transport minister Mike Henry has said he confident that the airport has the potential to become an important centre for providing aircraft servicing, maintenance and support services to the aeronautical industry. Representatives from Netjets, one of the world's leading aviation firms, toured the spruced up airport’s facilities last week. 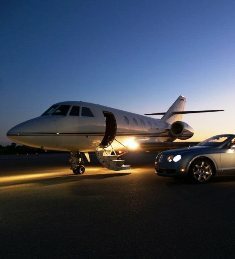 Henry said operating private jets was the fastest growing segment of the air transport sector. "I am seeking to interest Netjets to look at this (facility) as an operational point, which relates to the servicing of planes and to base them…The idea is to see what the opportunities are, which fit into the training of people in the whole aeronautical industry and ties in the whole interconnected multimodal plan which we have in place,” explained the minister. Chief Executive Officer of Netjets, Bill Noe, said that while Netjets was familiar with doing business with the two other and more established international airports in Jamaica, Ian Fleming was relatively unfamiliar. "We've had one operation into Ian Fleming over the past year. Most of our activities are into Montego Bay and Kingston. So, we want to come and look at it and explore the possibilities," he said. 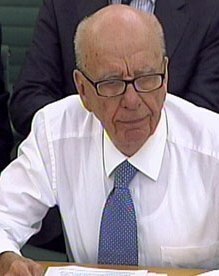 (Reuters): Executives at Rupert Murdoch's UK-based News International are concerned that emails discussing questionable payments made to police by the News of the World may prove more problematic than those that discuss phone hacking, sources familiar with investigations into the shuttered tabloid's reporting practices said. There are growing concerns inside the company that evidence of questionable payments to police — or other British public officials — could fuel investigations by U.S. authorities into possible breaches of the Foreign Corrupt Practices Act (FCPA), an American law that prohibits corrupt payments to foreign government officials. News International is owned by New York-based News Corp (NWSA.O). "We're more frightened by the (U.S. Justice Department) than we are of Scotland Yard," a source close to News Corp who was briefed about the content of the emails told Reuters. "All Scotland Yard can go after is News International but the Justice Department can go after all of News Corporation." Thousands of News of the World emails were assembled in 2007 when News International executives and lawyers at an outside firm were preparing responses to a litigation threat lodged by Clive Goodman, a former reporter for the News of the World, who was jailed for hacking into voicemail messages of aides to Britain's Royal family. Police, said that K9 and scenes of crime officers attended the location and conducted extensive enquires and a short time later a 52-year-old man was arrested on suspicion of robbery close to Hammerheads bar on the waterfront. The man remains in police custody and police are asking for any witnesses to the incident, in which no was hurt, to come forward. (CNS): If the most recent storm formed in the Atlantic on Saturday afternoon stays on its current track it could be coming close to Cayman Brac by Wednesday forecasters predict. The National Hurricane Centre in Miami issued its first warning on Tropical storm Irene at around 6pm local time. The storm formed east of the Leeward Islands some 190 miles east of Dominica and with maximum sustained winds of 50mph Irene is currently moving west at 22mph. Forecasters said that Irene was expected to slow down over the next 48 hours as it turns on a west-northwest track and some strengthening expected. Irene could become the Atlantic 2011 season’s first hurricane by Monday, the NHC forecasters said.